Tom Maxwell is the drummer for The Blue Hawaiians, an L.A. based kitschy, noir, retro exotica surf rock band that counts Quentin Tarantino amongst its fans. Joining up with filmmaker and surf guitarist Steve Denny to form Magic Box, the pair have recorded music that perhaps draws on some of the aesthetics of Maxwell’s other band, but jettisons the kitchy retro influences for something more atmospheric and contemporary. 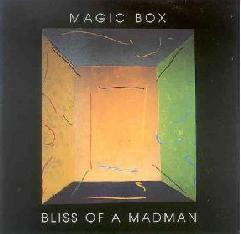 The result is Bliss of a Madman, an exceptional album of moody, instrumental rock. The music is built largely on drums and bass, with Denny’s twangy guitar taking the lead, but this is far from the sound of the standard rock n’ roll combo. Denny uses his guitar to create both deep, spacey textures and impressive and distinctive leads. Maxwell’s drumming style ranges from more traditional rock and jazzy stylings to throbbing, rhythmic stuff, to experimental percussive soundscapes of tinkling chimes and softly thundering rolls. Interspersed throughout are various field recordings, often of single or large groups of voices, whispering, singing, or simply chattering, along with other city-oriented sounds. There are also light touches of electronics, not so much for atmosphere, but to add strange little effects here and there. Songs flow one into the next, creating a vast soundscape that is both soothing and surreal. Admittedly, this is music that’s more of an easy listen than a challenging one, but it never fails to keep your interest. It has a certain freshness to it that’s not quite easy to define. The mix is spacious and airy, and the music just seems to float on the breezes that are wafting through it. 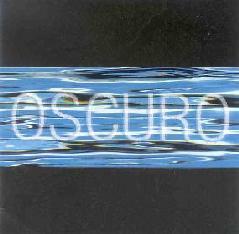 Recorded around the same time is Steve Denny’s solo effort, Oscuro. Similar in style to The Magic Box album, this one is nonetheless a little more on the experimental side, incorporating noisier sound effects with more of the creative rhythmic and atmospheric soundscapes, loops, and some interesting Spanish and Middle Eastern influences. The focus tends to be more on Denny’s guitar work, and his leads definitely shine whether he’s indulging in deep surf or spaghetti western twang or climbing through the mix with soaring melodic solos. Despite the fact that this is a solo effort, the sonic palette is wider than it is on The Magic Box recording. Denny brings in more keyboards, as well as occasional horns, strings, choirs and other symphonic bits. The moods are more exotic and varied, coming in short bursts of just a few minutes to even less than a minute each, but as with the Bliss of a Madman album, all running together into one lengthy excursion. Denny is also a filmmaker, so it comes as no surprise that his music is very cinematic. But rather than being the soundtrack to some never released movie, the many little vignettes of Denny’s work tend to conjure up fascinating images in one’s mind, scenes from films past, never quite specific, but just floating there on the edge of your mind, playful and teasing. Neither Bliss of a Madman nor Oscuro are experimental in the weird and freaky sense, but both take the conventions of normal instrumental rock and put new spins on them for two similar yet entirely different listens. Both are highly recommended.